Why Choose Us? | INVISIBLE Translation Inc.
At INVISIBLE Translation, we are determined to give you more for your money. That is why we have implemented various arrangements to provide you with substantial savings when you rely on our qualified professionals. We place very great importance on confidentiality. Since we are subject to the same type of professional secrecy as physicians, attorneys and psychologists, our certified translators do everything to protect the confidentiality of your documents. You can trust our team; your strategic information is in good hands! Our language professionals have only one goal: quality. Drawing on their university education, our translators, editors and revisers—all humans, not machines—have amassed a combined total of some 200 years’ experience. Our team definitely knows the ropes! A short text? Major project? We are very attentive to our clients’ needs and we understand your reality. That’s why we provide unmatched client service. Adapt to the electronic file formats your business uses. Quality has its price, but your budget also has its limits. Don’t like hidden costs and unpleasant surprises? A 2% sales discount applicable to your next order if you pay off your account balance within 10 days. members of the Canadian Environmental Network. As your trusted partner, we want to contribute to your success. How can you make the most of every dollar invested? By obtaining a value-added service—without paying more! Where appropriate, we add comments to suggest changes or points to think about. Do you have to make a language-related decision but still have persisting doubts and hesitations? Let us eliminate the uncertainty by providing our professional opinion and an outsider’s perspective on the matter. To optimize communication, we assign you to a project manager who becomes your single contact person for all requests. In brief, we make every necessary effort to ensure your company’s local, national and international reach. Learn more by visiting this page! Based on your requirements and objectives, we can translate a short text at no charge to show you the quality of our work! 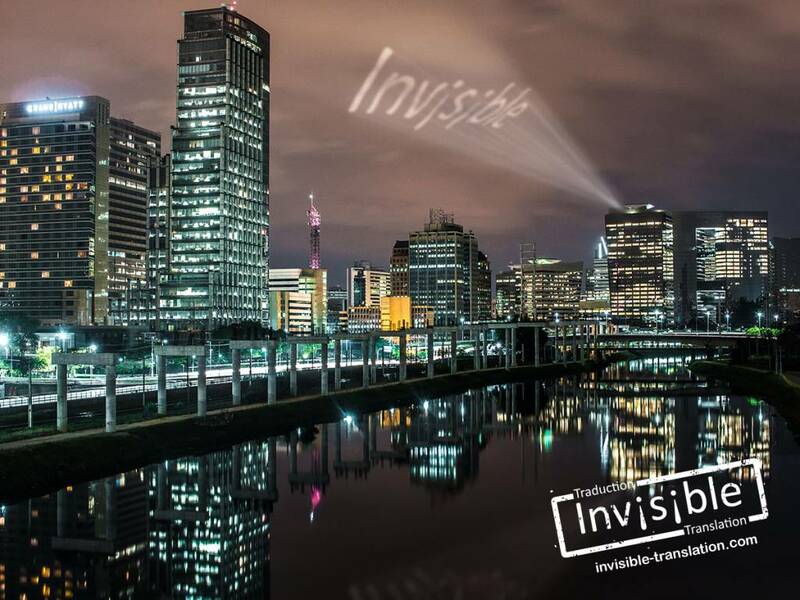 Choose INVISIBLE Translation: it translates into visible results!